Next to my feet is a bucket of water, half filled with loose change. It's not what I expected to find in the historic A-ma temple of Macau. It's a scenic spot and as we follow the winding path through the temple, the surrounding hillside is covered with boulders. Each is inscribed with good advice on enlightenment and modesty, but it seems horribly ironic. If the temple preaches modesty, then why is there a minimum donation of 10 Hong Kong dollars? But this doesn't seem to dampen anyone's enthusiasm as another coin hits the water with a thirsty splash. An ex-Portuguese colony, Macau was handed back to China shortly after the British returned neighbouring Hong Kong. Until recently, Macau was a backwater, albeit a picturesque one with strong European influences. The ruined gothic fa�ade of the church of St Paul stands dramatically amongst the black and white tiles. Along the cobbled streets there is a pervasive smell of fresh custard tarts and salesmen eager to offer you a sample of the local sweet sticky pork. With the sun on our faces and enjoying a plate of Portuguese Bacaulat (creamy fish and potatoes), washed down with sangria it was hard to imagine that we were more than 10,000 miles from Lisbon. The illusion was soon punctured though, by stalls of Maoist nick-nacks and oil paintings depicting the triumph of the Red Army. This is China after all, and yet Mao seems even further away than the European missionaries who arrived all those centuries ago. Macau might still have a Portuguese flavour, but today there is a stronger influence at work - Las Vegas. For 35 years, Macau was the only place you could gamble in a casino in China. But after the handover, competition was introduced and high rise casinos popped up all over the islands, like mushrooms. Finally in 2006, the upstart Macau overtook the more experienced Vegas, earning $6.8billion in casino revenue compared with Las Vegas' $6.6 billion. Don't feel too sorry for the Americans though. After all, US investors own many of the competing new casinos in Macau. The latest addition to the flickering neon skyline is the Venetian � a colossal 3000 room labyrinth of a hotel, with black jack tables and high-stakes baccarat. 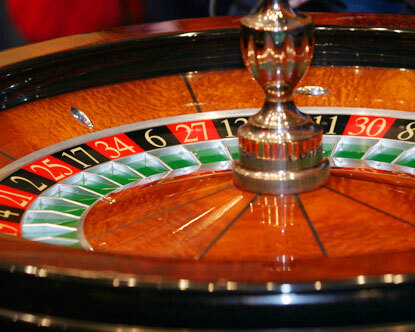 I quickly lost ten quid on the roulette wheel before discovering that watching our surroundings was more entertaining and considerably less costly. Chinese mainlanders crowd around the tables concentrating seriously on their game, pausing only to swear occasionally in Mandarin. Young working girls in skimpy dresses work the tables in hungry packs, hunting for the big winners who would exchange hard currency for a good time. Everyone avoids eye contact with the man with a scarred face and gnarled thumb who angrily thumps his broken fist down on the table. The hotel owners understand that there is more than one way to part the public from their money. An artificial Venetian lagoon has been created, like the one in Vegas, complete with gondola rides and cloudless blue sky. Chinese tourists take a break from the tables to take a consolation ride on a gondola, or spread their new wealth amongst the high-end boutique and lavish ching-bling jewellery emporiums. A Chinese duplication of a Las Vegas copy of a European city may seem unnecessary, but you can be sure the hotel's investors are laughing all the way to the Hang Seng bank. There is a great deal of money pouring into Macau, but not all of it's clean. The vast majority of cash pours in from the mainland and a large chunk of that is from the black economy. For every new construction project in China (and there are many) kickbacks and bribes filter through the officials and contractors. A lot of it ends up on the tables in Macau. Behind closed doors, the real money is gambled in private rooms where the stakes can be astronomically high. It's fun though, walking through the casino, never sure if the suitcase rolling by is filled with dirty laundry or dirty money. In Vegas you can take a tourist bus to learn how wise-guys once ruled the city. In Macau, they still do. During our stay, the news was filled with the arrest of Macau's former Minister of Transport. He was charged with 76 criminal offences, from bribery to money laundering and abuse of power. More recent protests have set their sights on Macau's leader himself, the Chief Executive, Edmund Ho. Meanwhile back at the A-ma temple, a coup had taken place. The local residents had accused the old monk of corruption, who was being removed from his temple. As we left, he continued to protest his innocence to surrounding film crews and journalists.